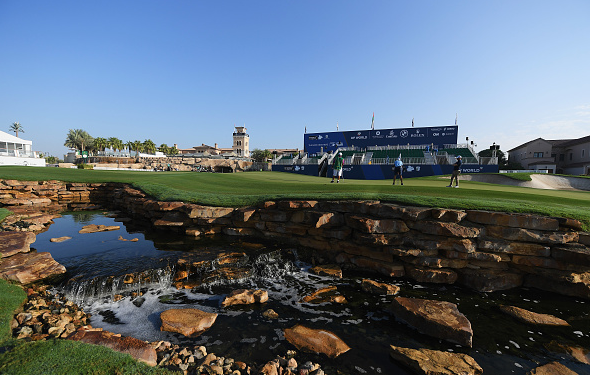 The 52nd and final event is upon us with this week’s DP World Tour Championship – the third consecutive Rolex Series event to conclude the 2018 European Tour season. As the finale of eight Rolex Series events in 2018, the field in Dubai is loaded with talent, headlined by six of the seven Rolex event winners: Francesco Molinari (BMW PGA), Thorbjorn Olesen (Italian Open), Alex Noren (French Open), Russell Knox (Irish Open), Brandon Stone (Scottish Open), and Lee Westwood (Nedbank Golf Challenge). Only world No. 2 Justin Rose (Turkish Airlines Open) has opted out of a trip to Dubai. 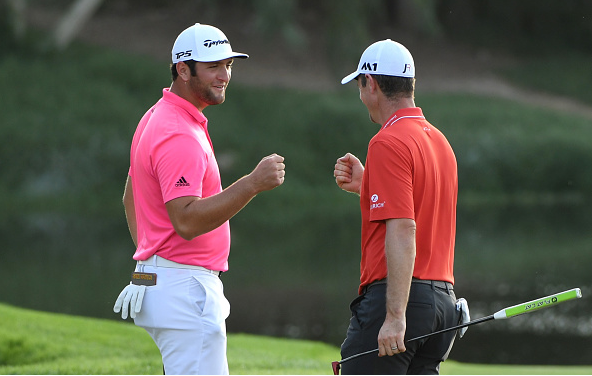 Those six headliners will be joined by the two most recent Masters champions in Patrick Reed (2018) and Sergio Garcia (2017), along with defending DP World Tour champion Jon Rahm and Northern Ireland superstar Rory McIlroy. In all, the field will include nine of the top 10 in the Race to Dubai standings and nine of the world’s top-25 ranked players. The magnificent Earth course began life as the host venue for the DP World Tour Championship in 2009 and it has not looked back. 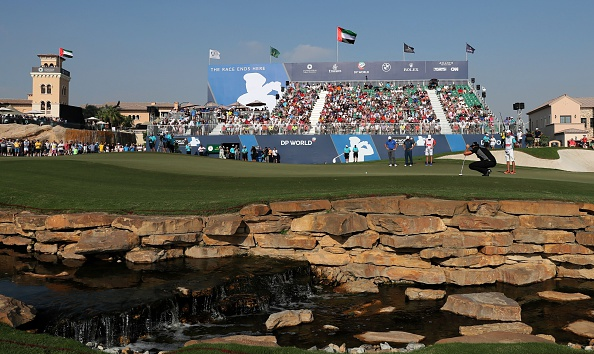 A layout that consistently delivers thrilling climaxes to the European Tour’s Race to Dubai each November, Earth has earned a place alongside the Majlis as a ‘must-play’ trophy course in Dubai. The DP World Tour Championship, Dubai annually wraps up the European Tour season, and concludes the Race to Dubai. Where: It is contested on the Earth course at the Jumeirah Golf Estates in Dubai, United Arab Emirates. Sponsor: The title sponsor is DP World, a shipping company based in Dubai. Born: The tournament was first held in 2009 when the Order of Merit was replaced by the Race to Dubai. Field: It is contested by the leading 60 players in the Race to Dubai at the start of the tournament. Former: It is the replacement for the Volvo Masters, which was a similar event for the leading 60 money winners on the Order of Merit. Race to Dubai: The tournament also determines the Race to Dubai Bonus Pool, which goes to the top golfers on the Race to Dubai after the tournament. Bonus: The winner of the season-long points race gets a $1m bonus. 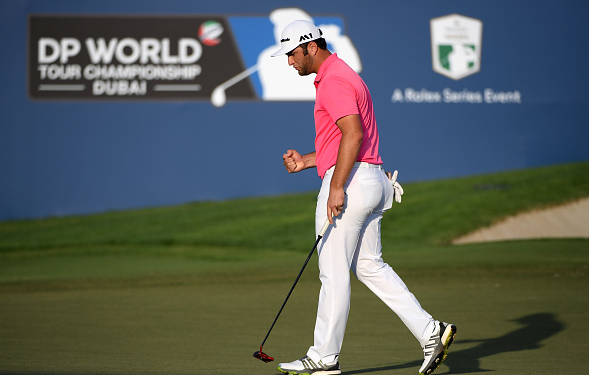 Jon Rahm fired a final-round 7-under 65 at Jumeirah Golf Estates to capture the DP World Tour Championship, Dubai, while a late stumble by Justin Rose handed the Race to Dubai title to Tommy Fleetwood. Rose appeared headed for his third straight European Tour title, and the Race to Dubai after turning at 32 – and five shots clear of Fleetwood and three ahead of Rahm. But a three-bogey inward nine, opened the door for Rahm, and by default Fleetwood, who stumbled to a 2-over 74 on Sunday. Rahm, playing in the penultimate group with South African Dean Burmester, closed with a 33 to get to 19 under and win his second Rolex Series title by one shot. 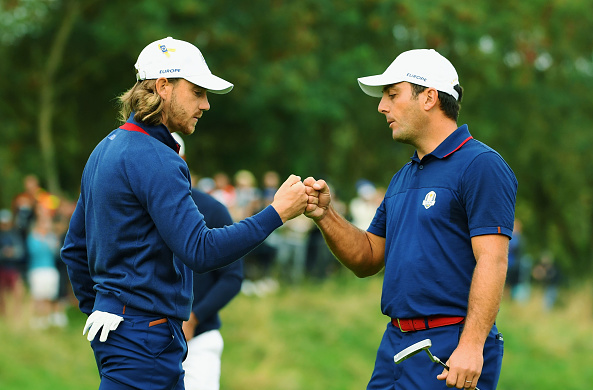 Only Molinari and Fleetwood have a chance to win the season-long points title, and the accompanying $1 million prize. But with big money bonuses awarded to the Top-10 RTD finishers, there’s going to be a lot on the line this week at the Earth course.